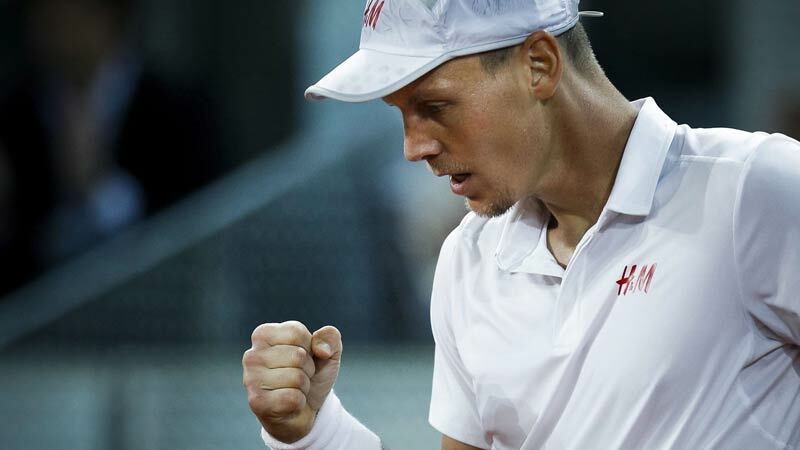 Who Are The Oldest Players In The Top 100 Of Men’s Tennis in 2019? 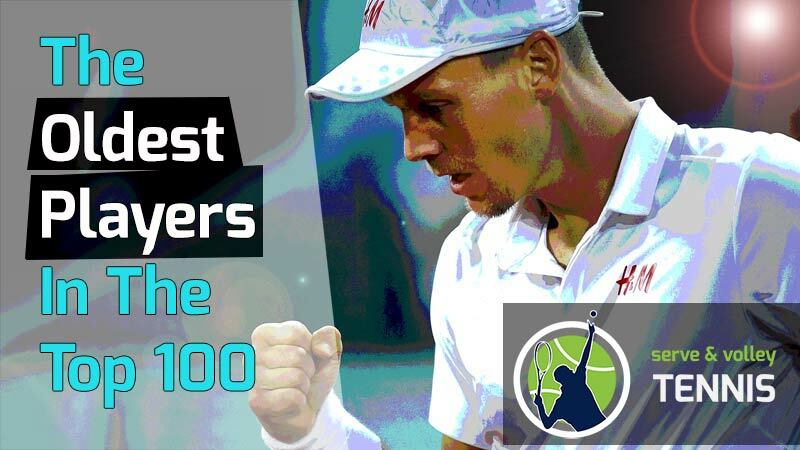 Home » Theory » Who Are The Oldest Players In The Top 100 Of Men’s Tennis in 2019? Tour level pros are playing longer into their careers than ever before. Are you curious to know who the oldest players in the top 100 of men’s tennis are? Well, we have the answers. We’ve listed the 10 oldest players still active on the ATP tour in 2019. We’ll rank them from youngest to oldest and give you interesting facts on each one. 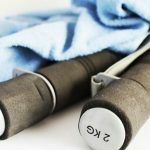 Keep in mind if you are reading this article months (or years) after it was written, the ages may change. But these players will still be the oldest players on tour, at least until they retire. Tomas is currently ranked # 71 on the ATP circuit and has really dropped off. He used to be a perennial top 10 player but has been plagued with injuries in 2018 and only finished the year with a subpar 11-11 record. Age may be catching up with Tomas. His most notable performance came at Wimbeldon in 2010, where he reached the finals, losing to Rafael Nadal in straight sets. He was ranked as high as # 4 in the world in May of 2015 but has been trending down since. Tomas has the distinction of making the semifinals of all four majors. This is an impressive feat, considering nobody ever mentions him in the same breath as the big four (Federer, Nadal, Djokovic, Murray). I believe Tomas never realized his true potential and playing in the same era as the big four shut him out from winning a grand slam. It’s doubtful he’ll be able to return to the top 10 at age 33. 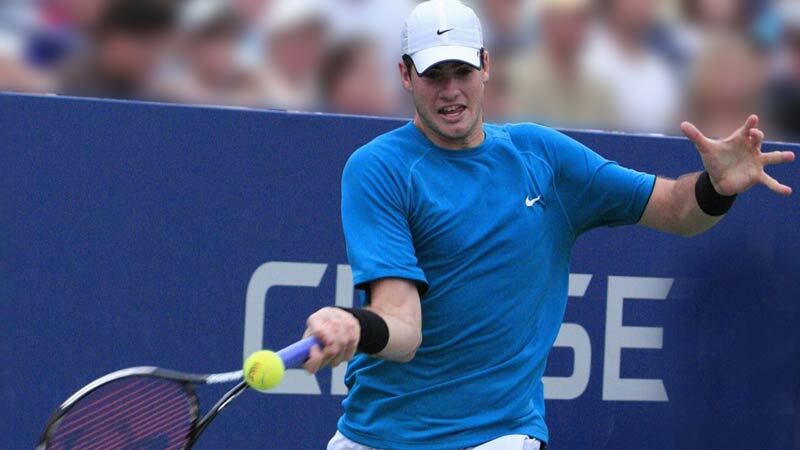 With age, Isner is actually getting better. 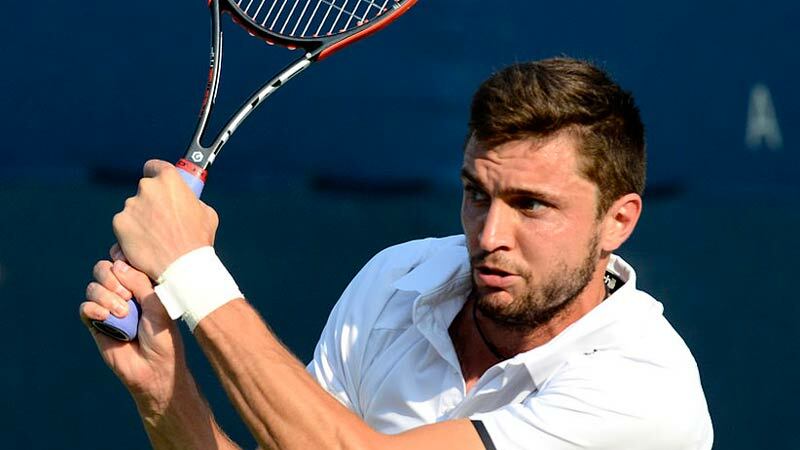 He reached a career high ranking of # 8 in July of 2018 and is currently ranked # 10. He also had his best tournament result at a major in 2018: Wimbledon semifinals. Despite his advancing age, I believe Isner can continue to play at this level for another several years. This is due to his massive serve, which is extremely difficult to break. Since he relies very little on movement, I can see how Isner can stick around the game for a long time, similar to Ivo Karlovic. Isner finished 2018 with a 34-22 record and 2 titles. For 2019, he’s poised to build off his strong performance in 2018. However, due to glaring deficiencies in his court movement and consistency off the ground, I don’t ever see him winning a major. Still, Isner holds the distinction of having the most difficult serve to return in tennis history. 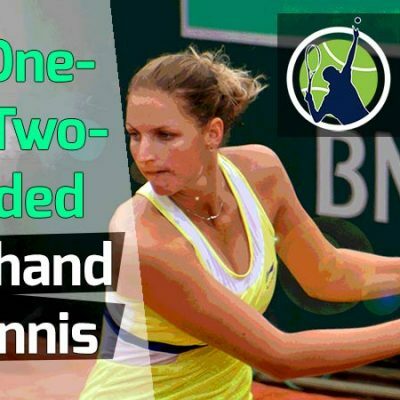 The “Stanimal” possesses one of the best one-handed backhands ever seen in tennis. It has helped him win three grand slam titles, including the French Open (2014), Wimbledon (2015), and the US Open (2016). Stan’s highest career rank was #3 in January of 2014 but 2018 saw him slide all the way down to # 66. As a result of injury, Stan missed several months in the beginning of 2018 and only finished the year with a sub-standard 17-17 record with no titles. His last tournament of 2018 came at the Rolex Shanghai Masters where he lost in the round of 64 to young upstart Borna Coric. Stan didn’t even pick up any ATP points for the match. Stan needs to overcome his injuries before he can be competitive again. He definitely has the skills to make it back to the top 10. 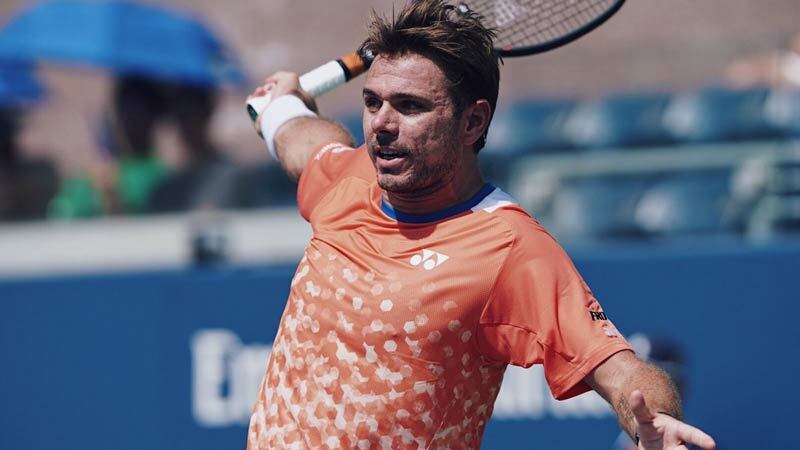 But nagging injuries and age may be catching up with the Stanimal. I believe it’s doubtful Stan will return to top 10 form in 2019, but I hope he does. Simon is a low-key player who is extremely consistent. For most of his career he’s been a top 30 player. His best major results were reaching the quarterfinals of the Australian Open in 2009 and quarters of Wimbledon in 2015. Simon reached a career-high ranking of # 6 in January of 2009. Throughout his career, Simon has been a tough player to beat. He has 14 career titles and a career winning percentage just under 58%. In 2018 he finished the year ranked # 30, which is an improvement from the previous year. In 2017, he concluded the year outside the top 50; the first time he had done so since 2005. If Simon remains healthy, I believe he’ll vacillate between # 40 and #20 in 2019. He simply doesn’t possess the talent or speed to keep pace with the big four or the younger generation of upcoming stars. Plus, he’s only getting older. I see Simon playing another three years and then retiring. His prize money is bordering on 14 million, so I won’t feel sorry for him. Seppi is your typical tennis journeyman. He turned pro way back in 2002 but only has 3 career titles. He has an all-around game but doesn’t do anything especially well, which is why he has a career losing record of 351-373 and never made waves at the majors. His best result in a major is making it to the fourth round, which he did six times. In 2018, Seppi finished the year # 37 with a modest 24-23 record and no titles. He’s healthy and ready to play another year on tour, but like Simon, I don’t see him breaking into the top 20 in 2019. However, Seppi made a dramatic improvement from 2016 and 2017, when he finished the years ranked # 87 and # 86, respectively. 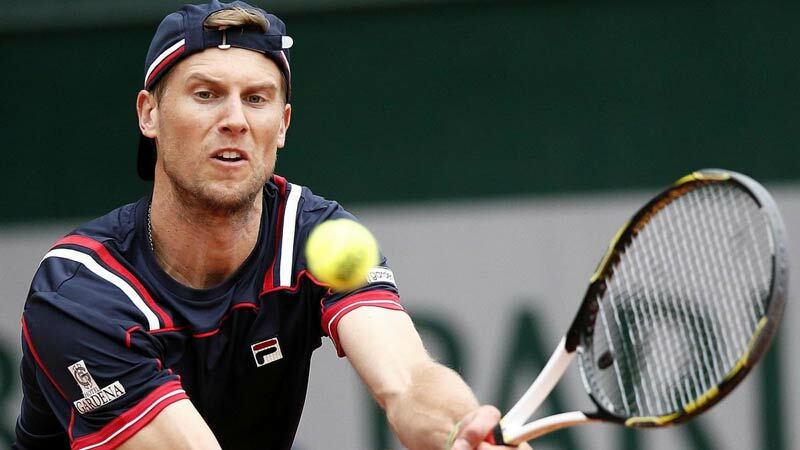 It’s doubtful Seppi can climb the rankings further, as there is too much talent on the tour now. Still for a guy with a career losing record, he has earned nearly 10 million in career prize money. Like Simon, I see a healthy Seppi playing another few years and then retiring. Jaziri is the least popular player on the list. 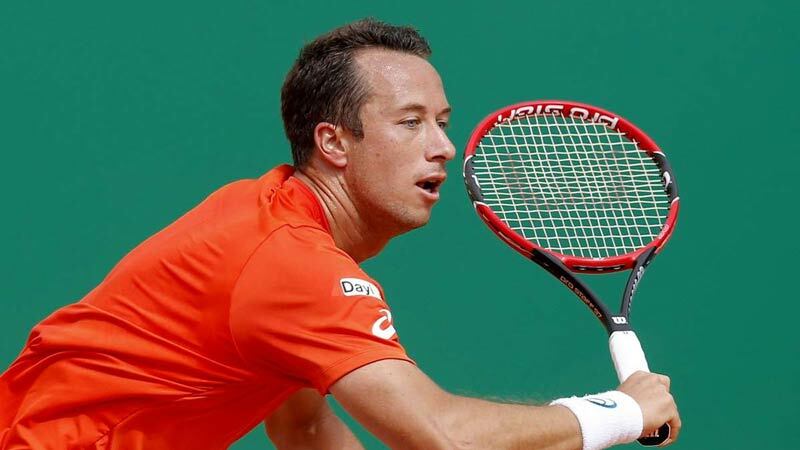 He turned pro in 2003 out of Tunisia and has a career record of 91-117. His highest career ranking is right now (December 2018) at # 45. It took him 15 years of playing to reach # 45. Before then, he had only ever breached the 50 spot a couple of brief times. Much of Jaziri’s tennis career was spent playing the Futures and Challenger circuits, which is like the minor leagues of tennis. His best result at a major is the third round of the Australian Open, which he did twice (2015 and 2017). 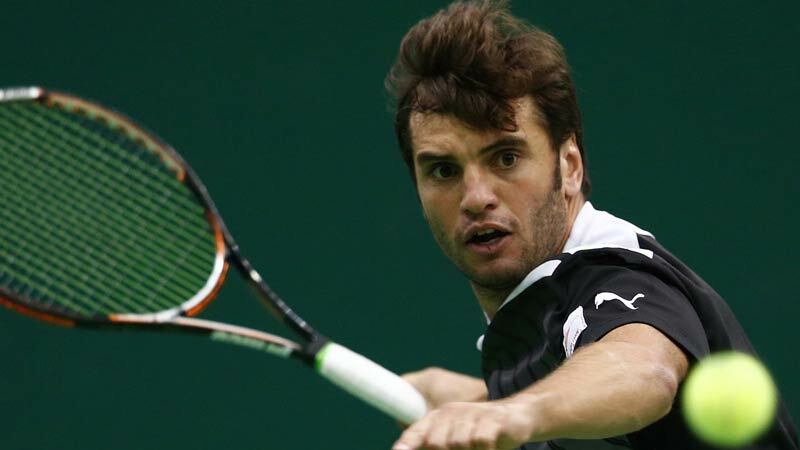 Jaziri first broke into the top 100 in March of 2012. Since then he’s been ranked as low as 215 and as high as 45 – where he is now. Like fine wine, Jaziri is getting better with age. While it’s doubtful he’ll move up much more, he can carve out some nice prize earnings in 2019 with qualifying spots in the main draw of big tournaments. Not bad for the fifth oldest player on tour. Jaziri has also racked up over 3 million dollars in prize money in his 15 years of playing. Verdasco turned pro all the way back in 2001, when he was just a teenager. He showed good potential early in his career, winning his first ATP title (Valencia) in 2004 and reaching a ranking of # 36 that year. Some of his best years on tour came between the years 2009-2014. The Spaniard even reached the semi-finals of the Australian Open in 2009 where he was defeated in five sets by Nadal. In that same year, he reached a career-high rank of # 7. Verdasco possesses a solid serve, a booming forehand and a potent two-handed backhand. But somehow (like Berdych), he never achieved the potential he would flash on occasion. At age 35, Verdasco goes into 2019 ranked # 28. This is a good ranking for him at this point in his career. 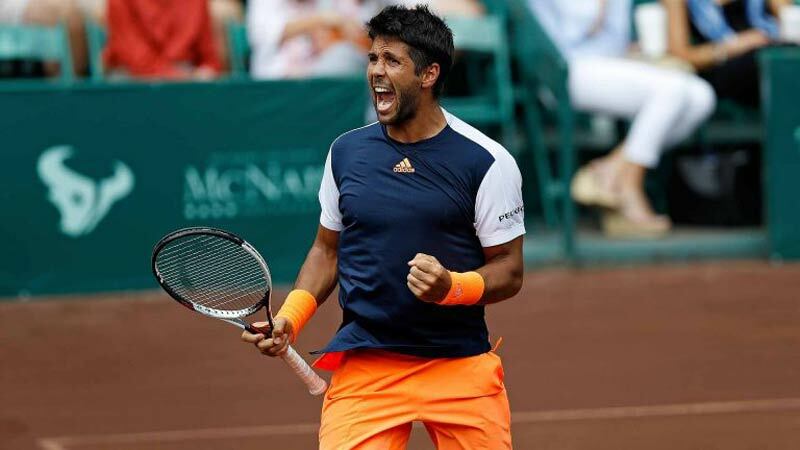 Verdasco is a temperamental player who can be dangerous for any foe when he’s on. He has 7 career singles titles and 8 career doubles titles with over 16 million in prize money. I doubt Verdasco will be able to crack the top 20 in 2019, but with a decent year, he can likely get his ranking to the low 20s. I can see him playing another one or two years before retirement. Philipp also began his pro career back in 2001. He’s plays consistently good tennis, but not well enough to ever make it to a major semifinal or break into the top 10. His highest career ranking came in July of 2012 when he reached # 16. Of note, he has been inside the top 100 since March of 2006, which is very impressive, considering he’s also a tennis journeyman. In 2018, the German finished the year even up at 24-24 and is currently ranked # 34. In June of 2018, he shot up to # 22, but fell off the rest of the year. At age 35, I doubt he’ll be able to rank under # 20 in 2019, but I like his unconventional-looking game. 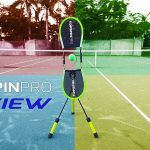 Philipp is an all-court player with a strong forehand, but he doesn’t do any one thing spectacularly well. Philip has a career winning percentage of just over 56%, has won 8 singles titles, and has made just over 12 million in career prize money. He’s still going strong and looks good on court. He’s just overmatched against the top players on tour. I can see Phillip playing another couple of years and then perhaps heading to the doubles circuit, where he has 8 titles under his belt. Lopez has one of the smoothest serves on tour and has great touch. It has served him well with 473 career wins over a 21-year playing career. 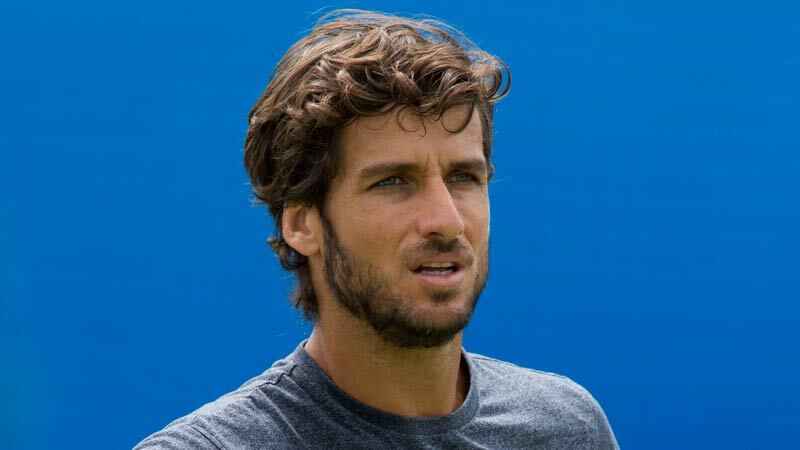 Feli, as he is affectionally known, has also earned a staggering 15.8 million dollars in career prize money – 29th all time. And all this despite never reaching a major semifinal and only 6 career singles titles. He is currently ranked # 64. Feli was a great talent as a youngster and turned pro in 1997 at the tender age of 16. But it took 4-5 years for him to break into the top 100, which he did in June of 2002. Since then, he hasn’t left the top 100. But unfortunately for the lefty, his game never reached the level of potential people thought he would achieve. I believe it’s because he lacks the same fiery temperament and focus as his more successful peers, like Nadal and Federer. In 2016, Lopez finished the year # 28. In 2017, he finished at # 36. He’s now 28 spots lower at # 64. You can see there’s a serious downward trend. Lopez is not getting younger and his game hasn’t evolved to keep pace with the younger players on tour. For this reason, I see Lopez’s rank continuing to slip and I think he’ll play just one more year, especially if he falls out of the top 100. I can see him moving on to the doubles circuit though. Roger has Lopez beat by a few weeks in age. But despite being the oldest player on tour, he’s still ranked # 3, which is a testament to his greatness. An encyclopedia can be written on the Swiss maestro’s credentials, but we’ll limit it to some of his greatest accolades. For one, Roger has the most career grand slams at 20. He is also second only to Jimmy Connors (112) in career singles titles in the open era at 99. In terms of career prize money, Roger has accumulated nearly 121 million. He has likely amassed three times that in endorsement deals. Roger’s last major win came at the 2018 Australian Open. He is set to defend his title, which he won the last two years (2017-18). 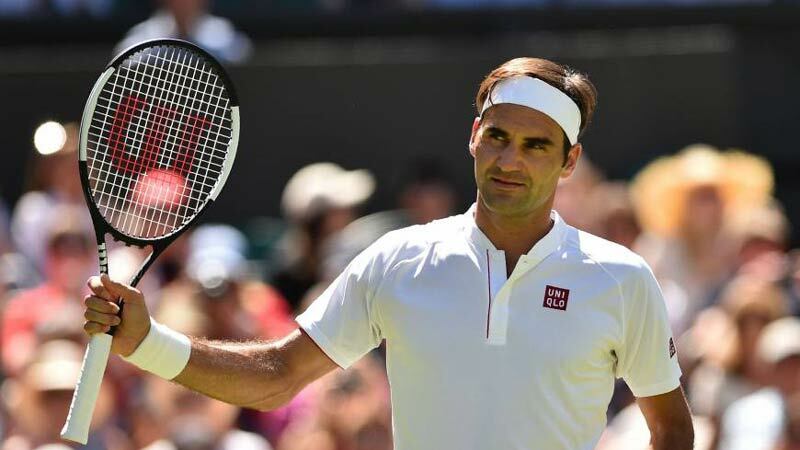 His incredible talent, efficient movement, and love for the game has allowed him to maintain a tremendous level of physical prowess on court, even at age 37. Roger’s last tournament as of this post was the ATP Finals, where he lost to Alexander Zverev in straight sets in the semifinal round. There’s no shame in that, as Zverev went on to beat Djokovic and claim the title. Federer is now well-rested and preparing for the 2019 season. I believe he’ll be the favorite to win the Australian Open again. If Roger can stay healthy, I can see him playing at least another two years. 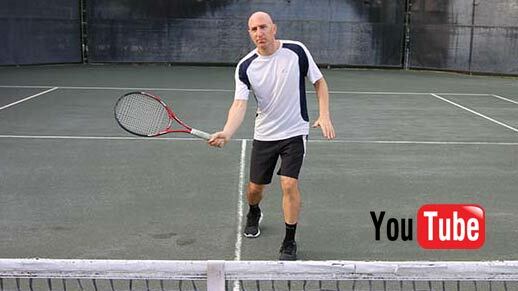 He’ll play selective tennis to stay healthy during the season – as he did the last few years. He’s the type of player that’s dangerous on any surface and capable of winning another major. The question is, will he? Roger’s love for the game will keep him in it until either his body betrays him, or he slips in the rankings. It’ll be interesting to see how he plays in 2019. 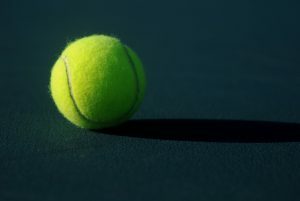 Why Is Tennis A Hard Sport? 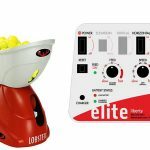 How Can I Improve My Backhand? 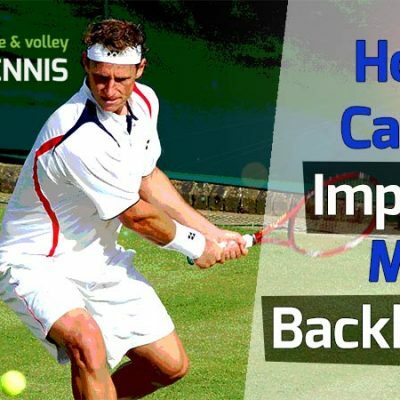 The Backhand In Tennis — Why Is The Backhand Important? 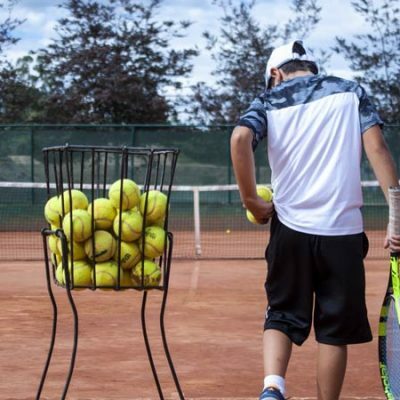 What Age Should My Child Start Playing Tennis? 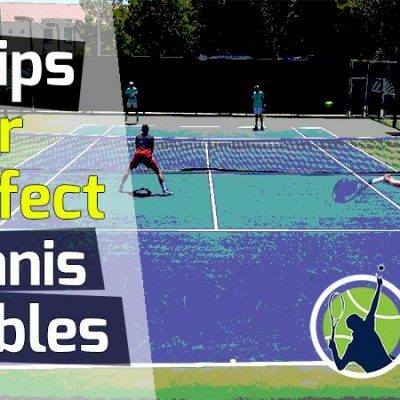 See our Youtube channel for many more tips and drills to help improve your tennis game and conditioning. 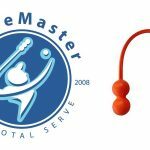 You have the ability to Master the first and second serves. This is the course that will unlock your potential. Posts on this site may contain affiliate links to products and services we recommend. Please read our disclosure for more info. 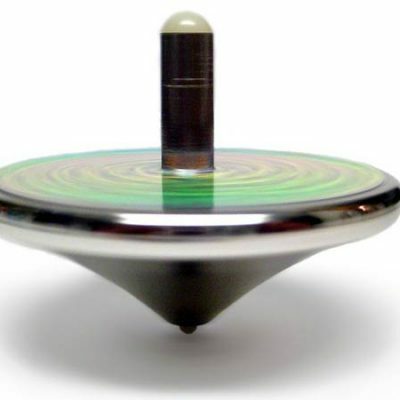 This site is owned and operated by Oriental Decor Com. 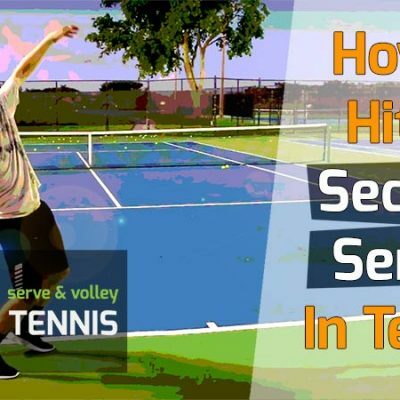 Serveandvolleytennis.com is a participant in the Amazon Services LLC Associates Program, an affiliate advertising program designed to provide a means for sites to earn advertising fees by advertising and linking to Amazon.com. This site also participates in other affiliate programs and is compensated for referring traffic and business to these companies. 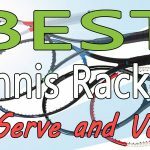 © 2019 Serve and Volley Tennis -- This site is owned and operated by Oriental Decor Com. 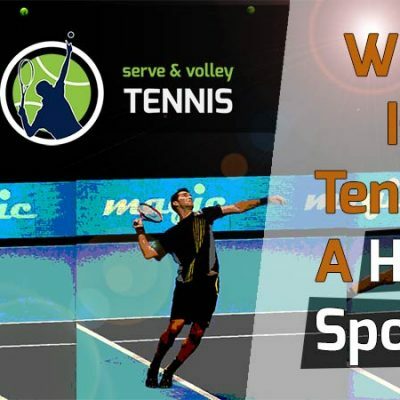 serveandvolleytennis.com is a participant in the Amazon Services LLC Associates Program, an affiliate advertising program designed to provide a means for sites to earn advertising fees by advertising and linking to Amazon.com. This site also participates in other affiliate programs and is compensated for referring traffic and business to these companies.